Training Tab with swivel snap bolt. Color and length variations available. 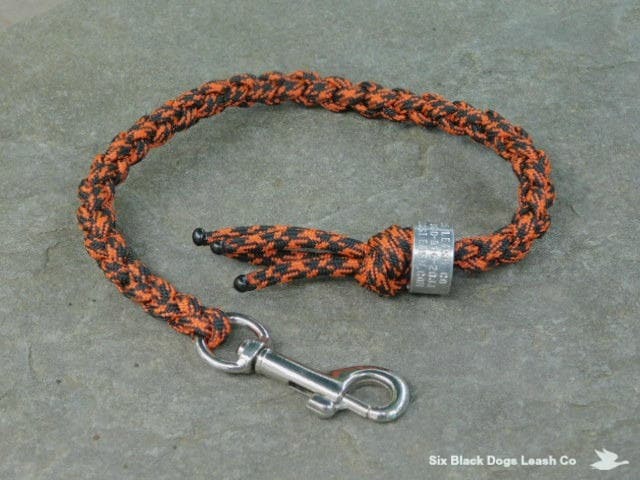 Shown here in the color of Black Neon Orange Camo 550 paracord. Use to transition to off leash work. 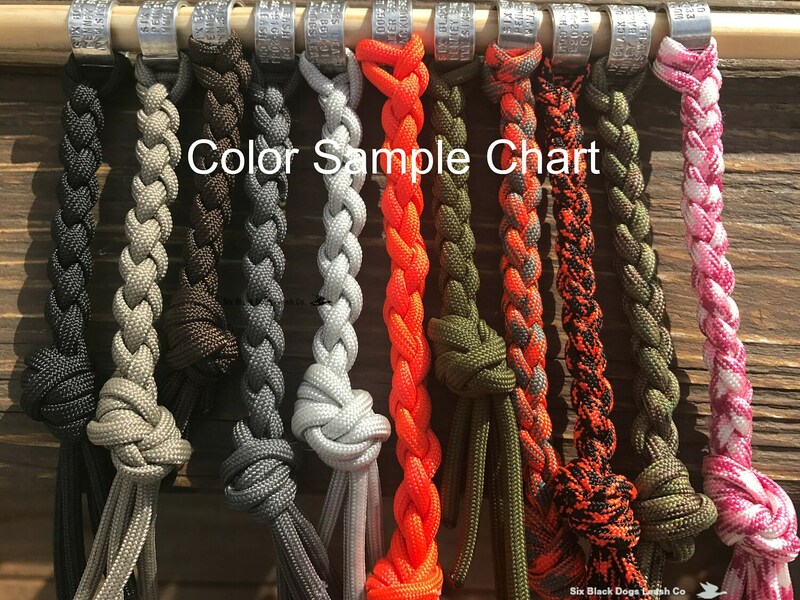 Suggested venues: Field/Hunt training, agility or overall training tab - something that can hang from the dogs collar that you can quickly reach if necessary but won't interfere with training or the dog working. Please do not leave on any dog unattended.